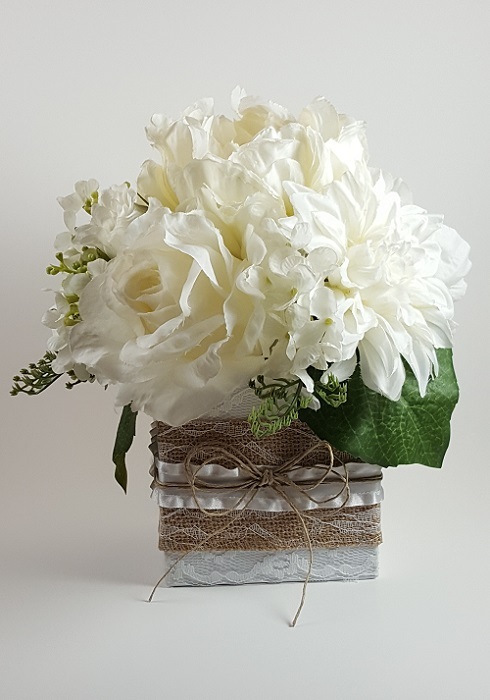 This gorgeous silk flower arrangement features a mixture of large blooms. 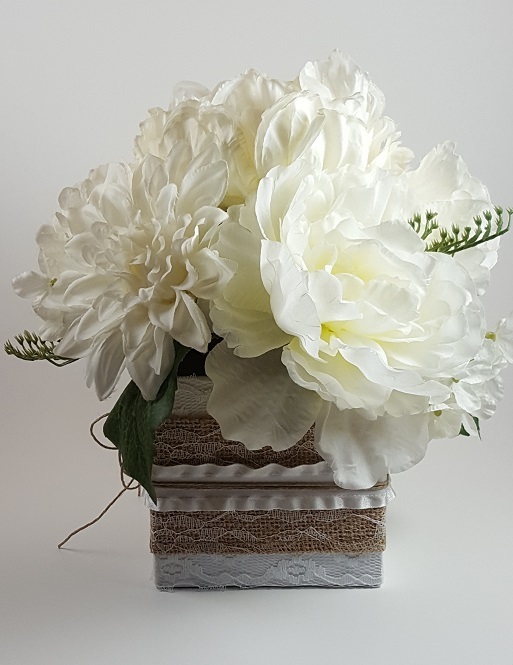 Beautiful white dahlias, roses and peonies, accented with foliage for an elegant and romantic rustic look. The arrangement is designed in a modern, square, heavy weight cardboard box. 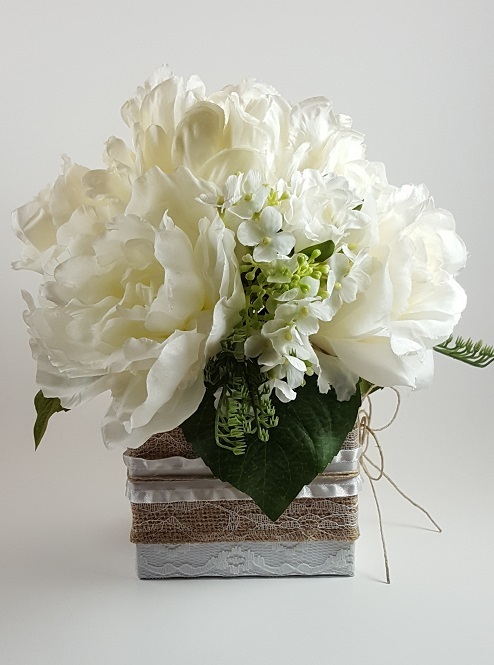 The box is covered with white satin ribbon and accented with white lace, topped with white-laced burlap. 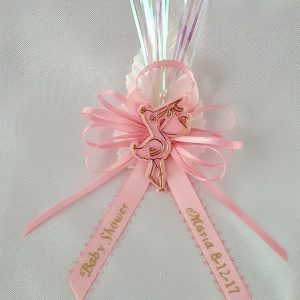 A white satin ribbon with gathered edges and a rustic cord made into a bow gives it the final touch. This centerpiece is made to order. You can order it exactly like the one shown or you can choose flower color, ribbon color and box decoration. Please leave us a note in the "Special Instructions" box. Custom made items are subject to availability. We will contact you in the event that any changes are needed. -These mixtures of large blooms are available in the following colors: Creamy Peach and White, Creamy Pink and White and White only **Please note that the white in all these options is not bright white, it has a very light shade of cream, it is very elegant and natural looking. Let us know the ribbon color of your preference to cover the vase. 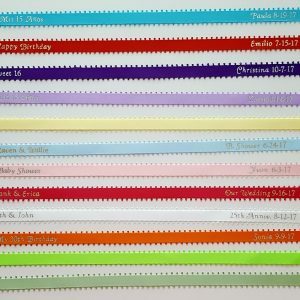 You have set the date for your Wedding, Baptism, First Communion or Special Event. Now let us help you find your perfect centerpieces. 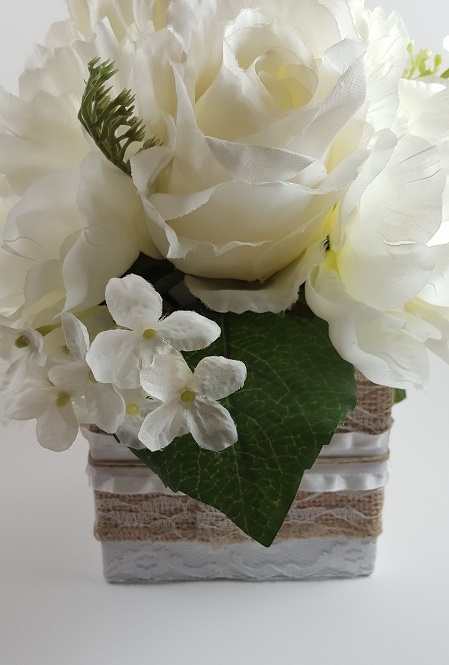 Using artificial flowers for your centerpieces is a great alternative to fresh blooms because they will remain pretty your entire event, won't wilt, are more durable and allergies won't be an issue among your guests. 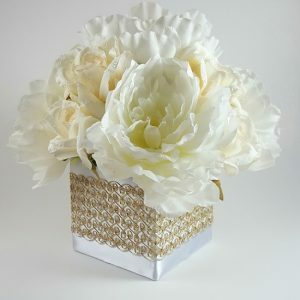 Silk flower centerpieces can be prepared and delivered ahead of time so that your special day is worry free. Best thing, silk flower arrangements will provide you with lasting memories of your special day, you can use them as a home or office decor. Your guests will be delighted to keep them as a memento from that special occasion for years to come. We use only high quality blooms to assure that the flower arrangements look as real as possible. Please be careful when handling the arrangement. Always hold it by the vase and not the flowers. Actual product colors may vary slightly from the image on your computer or any device screen. Each centerpiece is handmade therefore no two are ever identical. Allow 4 to 8 weeks for processing your order. Please let us know if your wedding or special event is in less than 2 months away.